There have been many disasters lately such as the recent earthquake and tsunami that struck Japan. Disasters such as the aforementioned are hardly predicted accurately, which means it is our responsibility to be prepared at all times. 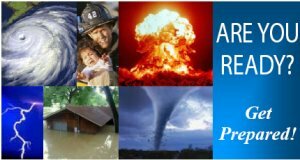 Precautions have been taught to us when we went to school or when we go to work, but for those who might have forgotten, I hope this refreshes your memory about the things you should and should not do in the event of a disaster. Have all important documents (birth certificates, passports, social security cards, etc) pre-organized in a briefcase or backpack and ready to go. See “Simplifying Your Financial Life” for more information. Organize a safety kit including band aids, non-perishable food, water, disinfectant, an extra pair of clothing, an extra set of keys, and other necessary toiletries. Practice how to take cover for different types of disasters (e.g. in case of an earthquake, get under the nearest table or doorway and cover your head). Come up with different safety plans for your family, including different escape routes and rendezvous points. Write down any emergency numbers and keep them in your safety kit. You might also consider purchasing an inexpensive, prepaid cell phone to keep in the kit, as well. Do not call 911. Phone lines will be jammed during a disaster. Do not rely solely on your cell phones for help. Do not run into places where there is more danger. Disasters can be a frightening experience but it is always important to remain calm during any difficult situation, as hard as it may be. Although there have been some predictions of future earthquakes, predictions are nothing to stress over. Instead, take it as a warning to be prepared. If you are prepared, there is nothing to be worried about.